Mercedes are said to be solid as a brick. But after a thief was caught on video trying to smash a Mercedes window with a brick — only to have it bounce back and knock him unconscious – we should say that a Mercedes is more solid than a brick. “The car in the video appears to be an E class coupe,” said Robert Moran, Director of Mercedes Communications in the United States. Like a gift from fortuity, the internet has granted Mercedes the best marketing the E-class could ever hope for, a grainily authentic surveillance video attesting to its quality. Mercedes cars are like Captain America’s shield, granting mortals levels of protection that were once reserved for gods. 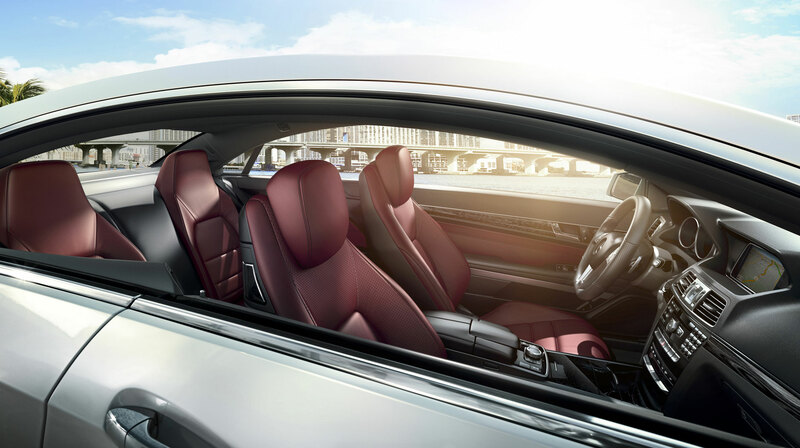 Perhaps more people will select the $300 optional laminated safety glass available on the $53,350 E-class coupe. The safety glass has three layers, and will not only keep looters from smashing their way in, but also reduce noise by 10 decibels, so you can drive by their threats without having to raise the volume of Wagner’s Die Walküre.